● Kevin Harvick started 19th and finished 12th. ● The Jimmy John’s 9-Grain Wheat Sub driver raced into the top-15 by lap four. ● The No. 4 Ford came to pit road under caution on lap 14 for four tires, fuel and an air pressure adjustment. Many of the leaders stayed out, causing the No. 4 Ford to drop back to 20th. ● Harvick raced from 20th up to 12th by the end of the stage, and the team chose to stay out in favor of track position. ● Started fifth and finished 14th. ● Harvick advanced from the sixth position up to third on lap 36 as three of the leaders came to pit road under green-flag conditions. ● The Jimmy John’s Ford moved up to the second position on lap 39 as another of the leaders came to pit road under green. ● Harvick surrendered the second position on lap 45 to pit under green-flag conditions for four tires and fuel. ● The No. 4 Ford advanced from 20th following the green-flag stop up to 14th by the end of the stage. ● Crew chief Rodney Childers chose to keep the No. 4 Ford off pit road at the end of the stage. ● Started fourth and finished ninth. ● Harvick stayed out under caution on lap 60 and again on lap 65 to maintain the fourth position. ● The Jimmy John’s Ford came to pit road under caution from the fourth position on lap 70 for four tires and fuel. ● Harvick restarted 13th on lap 71 and raced back into the top-10 by lap 72 and up to seventh by lap 78. ● He began saving fuel and dropped from the seventh position back to 11th by lap 100. ● The team called Harvick to pit road under caution on lap 102 for four tires and fuel, causing him to restart 17th on lap 103. ● Harvick avoided calamity on the restart and advanced from 17th to ninth. ● The No. 4 Ford restarted ninth with three laps to go and held his position until the checkered flag. ● This was Harvick’s series leading 24rh top-10 finish of 2018. 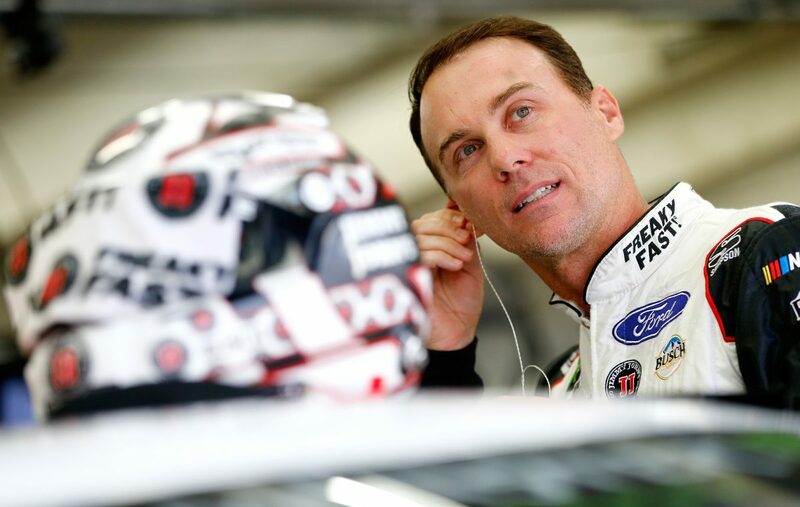 ● Harvick earned his 18th top-10 in 37 career road-course starts in the Monster Energy NASCAR Cup Series across Sonoma (Calif.) Raceway, Watkins Glen (N.Y.) International and the Charlotte (N.C.) Motor Speedway Roval. ● Harvick earned his 17th top-10 in 36 career Monster Energy NASCAR Cup Series starts at Charlotte (oval and road course).